Richard Aeschmann is the Managing Partner of Alexander Hughes Switzerland, member of the Executive Board and Head of Russia, Turkey, Northern Europe and Balkans regions. A Swiss national, Richard was raised and educated in Central America, the United States and Switzerland. He benefits from more than 20 years of international business and management consulting experience. 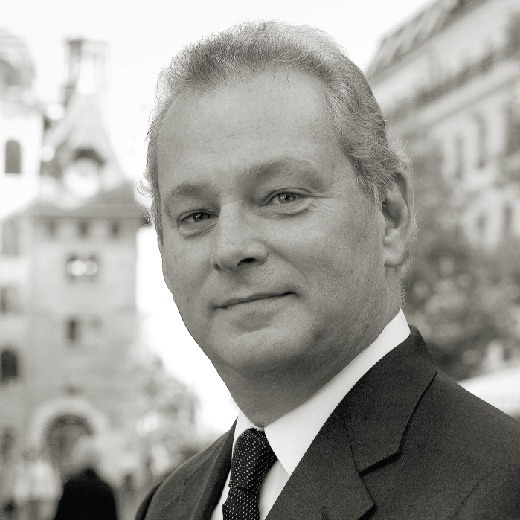 After being admitted to the Geneva Bar in 1980, Richard joined Du Pont de Nemours International, where he gained a substantial experience in several countries as legal counsel first, then in human resources, sales and marketing. His last position was as General Manager of a subsidiary in Europe. His career as an Executive Search consultant began in 1992 and he has conducted over 200 searches at the European and international level. Prior to establishing Alexander Hughes in Switzerland, he was Managing Partner of one of the group’s companies in Paris. Richard graduated from the Geneva University Law School, and holds a lawyer’s certificate from the Geneva Bar. He speaks fluent English, French, German, Greek and Spanish.